We’re Remembering Napoleon’s Failure at Waterloo this Week. Here’s Another. Katherine B. Aaslestad is Professor of History at West Virgnia University and has published widely on the Napoleonic era, in particular its ramifications in German Central Europe. 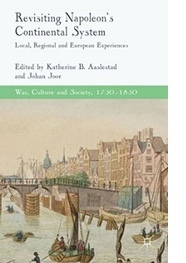 She recently co-edited Revisiting Napoleon's Continental System: Local, Regional, and European Experiences with Johan Joor, released by Palgrave in November 2014. Just published: "Serious Work for a New Europe: The Congress of Vienna after Two Hundred Years" in ​Central European History (Vol. 48 Issue 02, June 2015), pp. 225-237. Two hundred years ago British, German, and Dutch troops decisively defeated Napoleon Bonaparte at the Battle of Waterloo. Historians have since studied and written about the great general and the Empire he established and lost. The majority of these studies explored military campaigns to explain Napoleon's success and failure. In the last twenty years, an international community of historians has explored the nature and structure of the Napoleonic Empire to reveal nuanced perspectives on its supporters and its opponents. 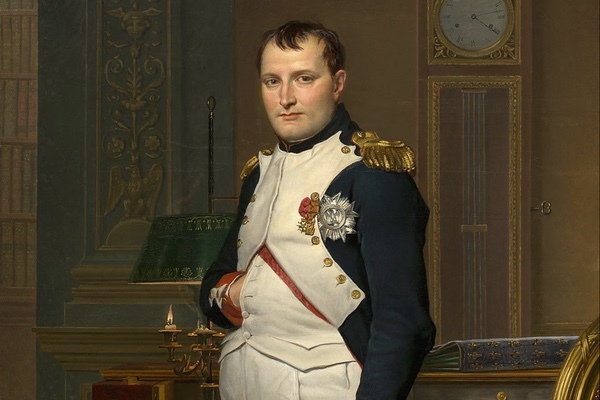 This approach helps us better understand why Europeans ultimately united against Bonaparte between 1813 and 1815, and why his Empire began to falter and to disintegrate even before the final military showdown took place at Waterloo. Examining Napoleon's Empire, in particular his Continental System, provides insights into the economic warfare that followed in the wake of French conquest and expansion. When Britain and Revolutionary France entered into military conflict in 1793, both states embraced economic warfare, including restricting the trade of neutral states. One year after the failure of the short-lived Peace of Amiens (1802-1803), Britain seized French and Dutch vessels in British ports, proclaimed a blockade of the Elbe and Weser rivers, and extended it to French ports a year later, as France undertook a range of policies to restrict British commerce on the continent. France and Britain alike targeted neutral shipping, which sought to continue trade with both belligerents. Following the expansion of the Napoleonic Empire economic, warfare spread to the high seas, harbors and marketplaces across Europe and the Atlantic. In 1806 following the defeat of Prussia, the Berlin Decrees formalized Napoleon's Continental System and generated a new level and intensity of trade disruption, when Bonaparte criminalized trade with Britain and British subjects in French-occupied areas. The British retaliated with their own Orders in Council in January and November 1807 that sought to tighten the blockade of France and its allies, deny French trade with neutrals and prevent Britain’s enemies from trading with their colonies. As Napoleon gained more territory on the continent, and Britain exerted its muscle on the high seas, the Continental Blockade expanded: Russia, Prussia, Norway-Denmark (following a British invasion and bombardment of Copenhagen), and Portugal (following a French invasion) joined in 1807. Napoleon retaliated to the British Orders in Council with the 1807 Milan Decrees and expanded the blockade of continental ports to include neutral shipping that complied with the British directives. The economic disruption, hardships and declining standard of living caused by the dual blockade engendered widespread hatred of France and Britain. Merchants everywhere condemned their common practice of privateering and disregard of neutrality. Too weak to win at sea, Napoleon sought to defeat Britain by attacking the vast capital and credit that made possible its sustained mobilization of financial assets for use in the war. Foreign trade financed Britain's power, and Napoleon sought to damage British financial stability and balance of trade. He tried to reduce the British supply of gold and specie and weaken its credit, so Britain could not subsidize continental warfare against the French. Napoleon's Continental Blockade was not a conventional naval blockade that endeavored to deprive its enemy of weapons, food and commodities; rather, it sought to deny Britain the financial ability to wage war. In addition to subduing Britain, the restructuring of the continental trade attempted to establish French industrial and commercial hegemony on the continent. Far from a constructive program for European industrial development and trade under French guidance, the Blockade represented an act of aggression against the continent. Intensified economic warfare altered the character of the Napoleonic conflict since both France and Britain pursed victory at the expense of the continent as both states targeted neutral, conquered, satellite and allied states alike. The Continental Blockade and System are often used interchangeably, but they are distinct if related in origin. The Blockade was Napoleon's economic weapon against Britain, whereas the Continental System encompassed the political organization necessary to enforce this Blockade on the continent. For example, Napoleon reorganized the political boundaries on the Italian peninsula to better implement the Blockade, ultimately annexing Tuscany, Parma and Piacenza in 1808 and Rome, Umbria and Lazio in 1809 directly into the Empire. Within a few years, commerce in Mediterranean ports was reduced to short-term coastal shipping. In 1810 Imperial economic warfare reached a new level following the annexation of the Papal States, Illyrian Provinces, Holland and the north German coast into the Empire and the issue of three new decrees: Saint Cloud, Trianon and Fontainebleau Decrees. Napoleon sought to turn privateering to the advantage of the French Treasury, strengthen the already privileged position of French industry and commerce by raising imperial tariffs, increase the number of customs officials and imperial troops to enforce the Blockade, punish smugglers, and confiscate British goods. Imperial officials burned seized goods with ceremonial pomp in hundreds of towns and cities in the last months of 1810 and first months of 1811, creating a customs terror. An overview of continental Europe reveals that Britain's opponents and France's satellites--Holland for example--suffered the most economic disruption. Relentless commercial warfare with virtually no recognition of neutral commercial rights meant that neutral states saw their peoples and economies become pawns in the great power conflict. Blocked from legitimate trade with Britain and colonial markets, such entrepôts as Amsterdam and Hamburg faced commercial, industrial and financial decline. The full impact of the Continental System, therefore, included the costs of imperial occupation, which ultimately discredited the French regime. By 1813 impoverishment brought on by economic warfare and exploitation generated an ever-growing anti-French sentiment that erupted in a range of riots, desertions from the Grand Armée, and even revolt in northern German states and across destitute western Holland. Burning custom houses and targeting toll collectors underscored the source of local grievances and popular hostility toward the Empire. The impoverishment attributed to Continental System provided anti-Napoleonic propaganda with examples of Gallic oppression and exploitation that resonated throughout Europe. New research on daily life under French rule illustrates the hardships associated with economic warfare, the growth of illegal trade and new merchant networks, and tensions with neutral states generated by the Anglo-French conflict to reveal the contradictions inherent in the Napoleonic Empire--at once rational and progressive, but also coercive and exploitative. Transnational, regional and urban examples underscore the vulnerability and ingenuity of Europeans as they faced transformative social and economic challenges. The difficult years of economic warfare and new commercial networks and practices predisposed Europeans to openly associate peace with trade and prosperity and offered contemporary experience to support Adam Smith’s moral vision of free trade that emphasized a benign spirit of commerce and the interdependency between peace and prosperity that would reduce conflict. In the end, however, the British Empire emerged as the winner of the Anglo-French contest, positioning Britain as the preeminent global power throughout the nineteenth century. For this reason alone, it is not surprising that the British celebrate Waterloo as their own hard-won victory: one that resonated and ultimately marked new towns and city squares across its growing Empire.